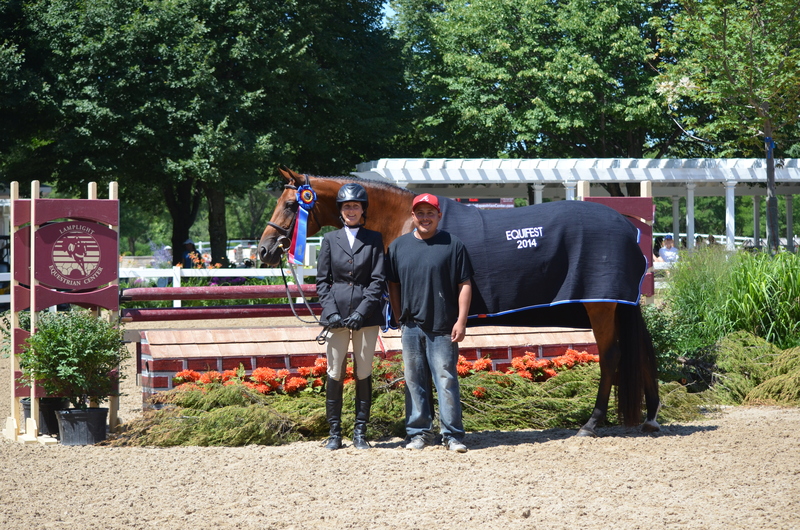 Paul Yanke and Chill Haze won the $7,500 Cavalor Show Jumping Hall of Fame Class. 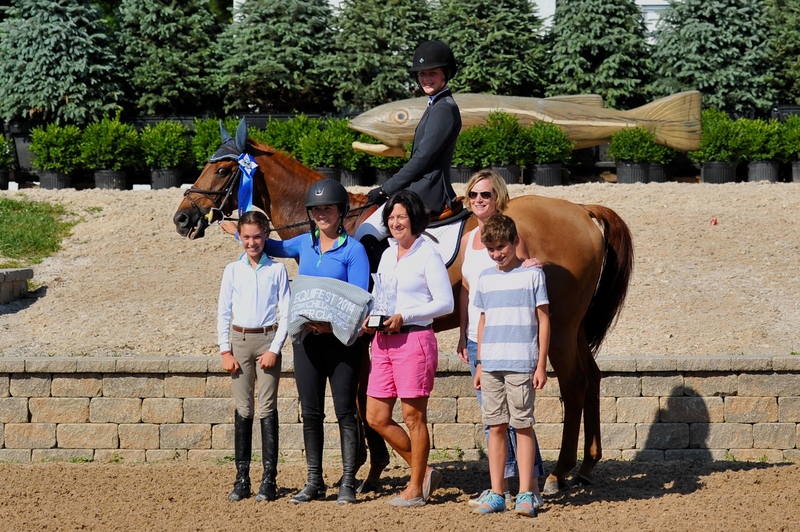 Wayne, IL - July 27, 2014 – The final day of Equifest I at Lamplight Equestrian Center wrapped up with multiple jumper classics and the Cavalor Show Jumping Hall of Fame Classic in the Grand Prix ring while division Championships for the juniors and amateurs were awarded in the Wisconsin Equine main hunter ring. The highlight of the day was the $7,500 Cavalor Show Jumping Hall of Fame class. Thirteen entries vied for the blue ribbon over the Greg Kuti designed course. Eight riders from the starting field made it to the twisting turning jump off where only five would be double clean. Giavanna Rinaldi and GPS Brilliant Disguise were the first to be clean and set a pace to beat of 31.874. Next to go was Saturday’s Grand Prix winning rider, Kelsey Thatcher, with Dulf Van Den Bisschop, taking the lead with 30.156. Thatcher didn’t get to keep the lead for long. Laura Linback and Carmina set a blazing time of 29.468. Stephanie Novas and Amyra R tried to catch the pair in their usual fast fashion but weren’t fast enough with 30.919. Last to go proved to be the fastest and the only rider choosing the A option to return at the end of the class, Paul Yanke and Chill Haze clocked in at 27.442 after a timer issue was resolved. Yanke and his wife, Ashley are from Rose Bud, Arkansas and work with Terri Knowlton. The couple started the horse about a year ago and have made big strides in bringing it along. 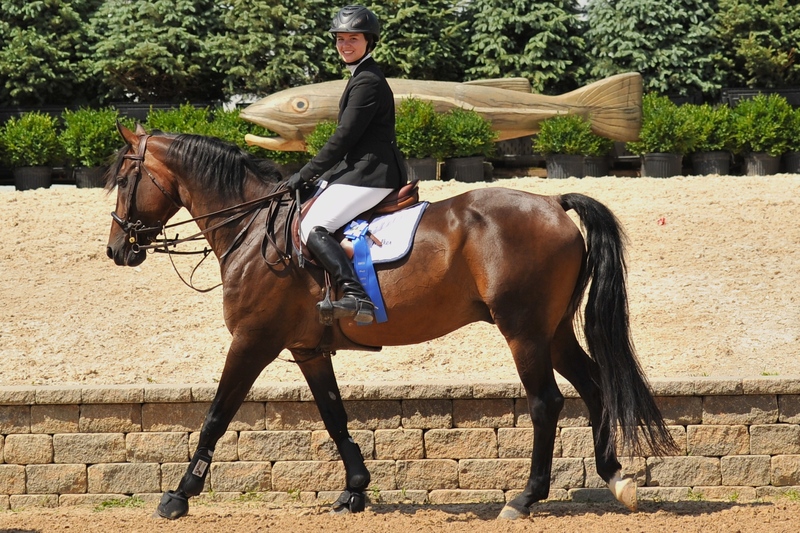 “I’m just really happy with the horse and my husband!” added Ashley Yanke. Laura Linback finished with a blazing time. Laura Linback was also pleased with her horse’s performance today. Other winners in the Grand Prix ring on the final day of Equifest I were the classic winners, beginning with the Low Children’s Adult Jumper Classic. Celia Bresch and Keepen Posted were the fastest clean round in that classic. 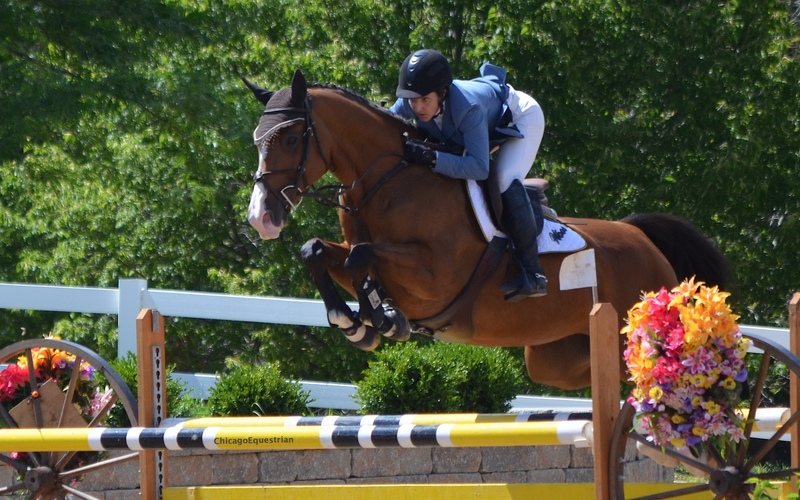 Winner of the $1,500 WIHS/NAL/M&S Children’s Adult Jumper Classic was Sian Walker and Victorie R.
Kaner 88 and Caelinn Leahy had a great day winning the $1,500 Low Junior Amateur NAL Jumper Classic. Over in the Wisconsin Equine main hunter ring, the Junior and Amateur Owner Hunters finished their divisions. One lucky junior or amateur rider who shows both weeks of Equifest will earn the chance to win a CWD saddle. 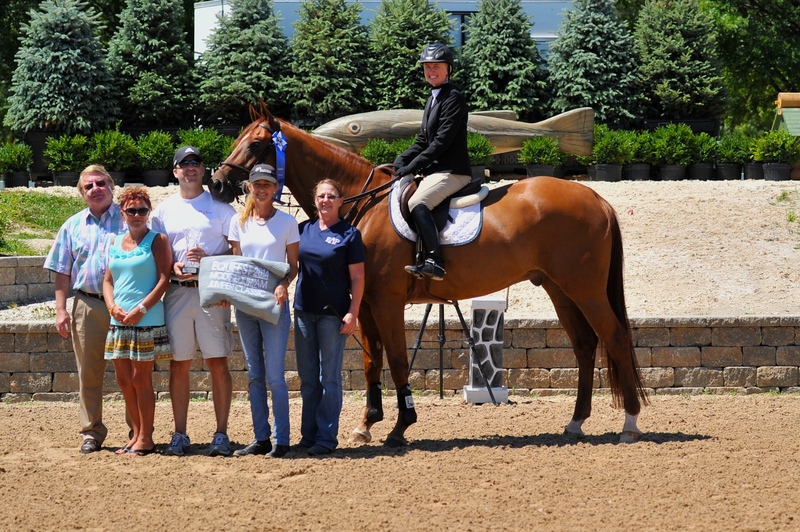 Williamson rides with Brookwood Farm in Antioch, IL along with the Junior Hunter Champion and Reserve riders. 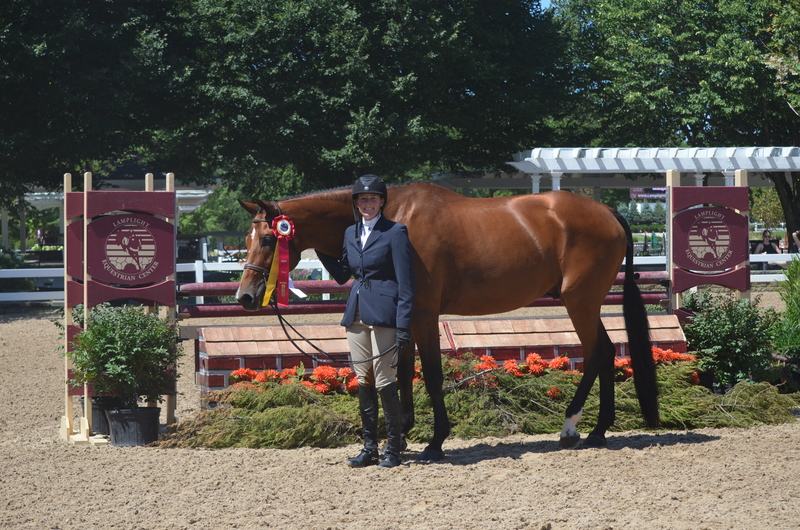 Champion in the Junior Hunters was Coup de Coeur with Clare Sargent, Kenilworth, IL. Reserve Champion went to No Excuses owned by Katherine Pitts and ridden by Piper Benjamin of Chicago. 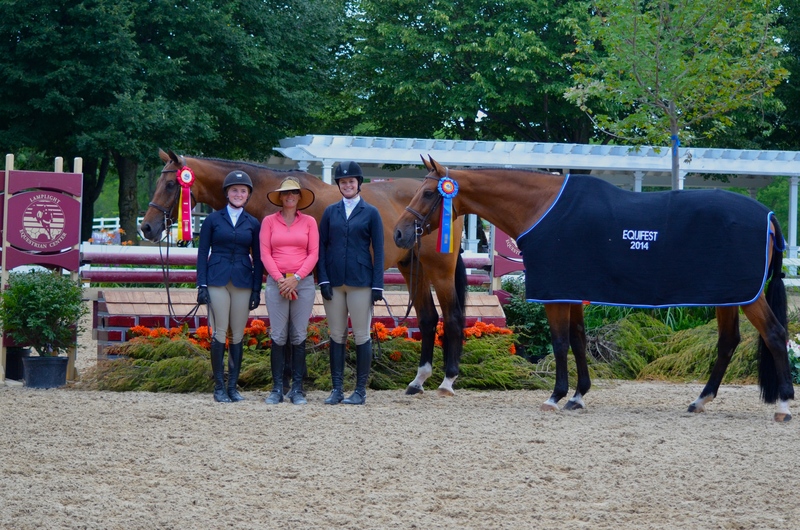 The junior team also finished first and second in the $1,000 Junior Hunter Classic. “Rush and Carl (Weeden) show our horses during the week and they go great for us,” said Benjamin. The girls added how nice it was to show around home for them. Luckily, Sargent had a much better go of things this year. “They really spruced things up and the Grand Prix ring is beautiful,” said Benjamin. “The footing is excellent,” added trainer, Carl Weeden. The Brookwood team heads to Trader’s Point next to show and then to Kentucky for the Derby Finals. $35,000 Prix de Lamplight takes place Saturday afternoon with VIP seating available. For more information on any of the events, contact Anna Margalef at 630-546-5576 or annam@lamplightec.com or visit the website at www.lamplightequestriancenter.com. 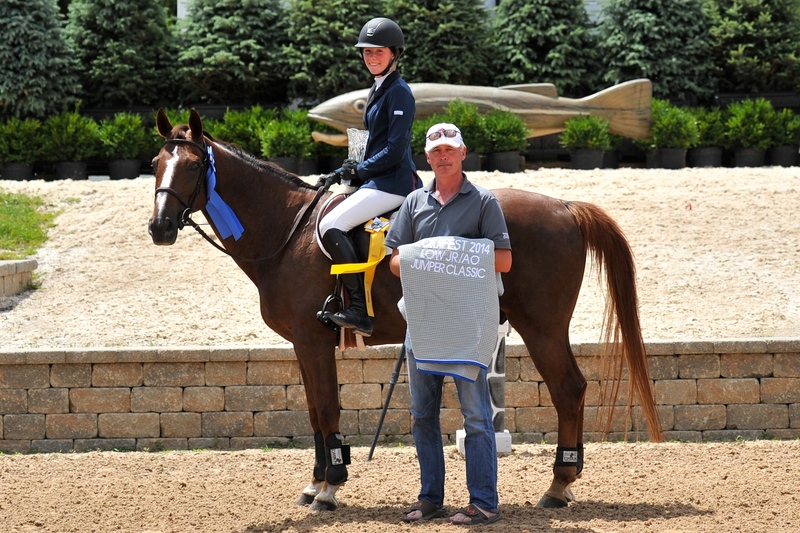 For more results visit www.horseshowsonline.com.